Earn $6.69 in VIP credit. Click to Learn More. This race-day specific weapon has raised the bar on tire technology! The Corsa Speed uses a proprietary Graphene G+ ISOtech compound, which is then paired with an ultra-fine Corespun-T casing. 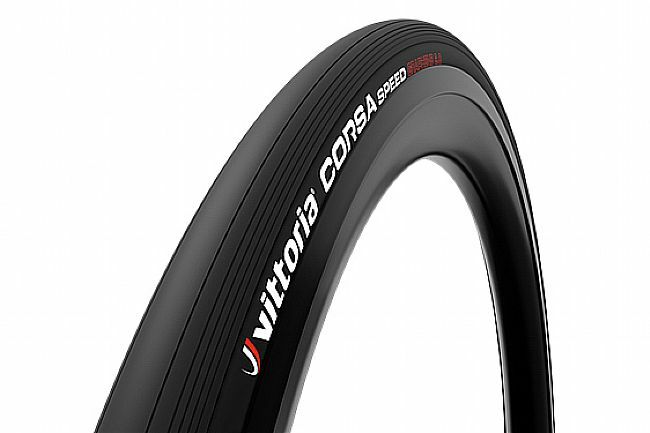 The end result is a tire that maintains the lowest rolling resistance, while still providing the trademark Corsa suppleness, and outstanding wet weather grip. When absolute speed is your top priority, accept no substitute!